Rik has been the Executive Director of UEBT since its creation in 2008. He is an expert on sustainable BioTrade in support of the objectives of the Convention on Biological Diversity. He spent more than a decade with the United Nations Conference on Trade and Development (UNCTAD), where he was involved in the creation of the BioTrade Initiative and helped to conceptualise the idea of UEBT. He has also served as the Board Chair of ISEAL, the umbrella group for sustainability standards. Rik grew up in the Netherlands, where he earned a Master’s degree in business and environmental economics. With UEBT since 2009, Julia is a trained lawyer and a global expert on access and benefit sharing (ABS) of genetic resources. 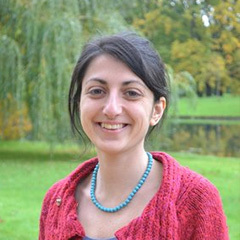 She provides training and technical support on legal and policy issues linked to innovation and sourcing of biodiversity. She collaborates with international organisations, governments, and companies. Julia is a member of the IUCN Commission on Environmental Law, the IUCN Synthetic Biology Technical Subgroup, and the Board of Directors of IP-Watch. She has law and LL.M degrees. With UEBT since 2012, Bertjan is responsible for finance, administration and back office support. Prior to joining UEBT, he worked in various development agencies, including in Nepal where he advised and managed community health and development projects. After his return to the Netherlands, he began studying finance, focusing on improved synergies between financial reporting and project management. He earned a Master's degree in Development Studies at Wageningen University and is an ACCA qualified accountant. Now based in our Amsterdam office, previously Rodrigo worked for UEBT in Brazil on technical and membership issues for UEBT’s Latin American members. 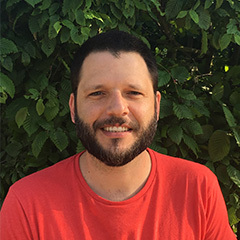 Rodrigo has worked as sustainability coordinator at Natura Cosmetics in Brazil, at the Secretariat for the Environment of Sao Paulo, and as an organic auditor. Jerida brings close to eight years of experience working in the certification and sustainability standards sector. Previously, Jerida worked for Rainforest Alliance in Eastern and Southern Africa. She holds a Master's degree from the Jomo Kenyatta University of Agriculture and Technology. Karène works with UEBT on a part-time basis. Previously, she worked in a Fair Trade and Social Responsibility certification body in Chile and Argentina, and was an auditor for Ecocert and the World Fair Trade Organisation (WFTO). Karène holds a Master degree in International Trade and Strategic Information, with a special mention in Fair Trade. Rina previously worked as a consultant for GIZ, UEBT, and Label CBD on value chain development, access and benefit sharing, bio-cultural community protocols, and certification. She holds an Engineer's Degree in Agronomy from the Higher School of Agronomic Sciences, University of Antananarivo, Madagascar and a Master's degree in Food Sciences and Technologies from the Faculty of Agricultural Sciences of Gembloux and Catholic University of Louvain, Belgium. 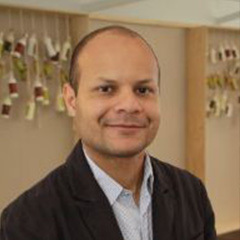 Based in Brazil, Ronaldo previously worked for 11 years for Natura Cosmetics on the development of supply chain biodiversity, access and benefit sharing, traceability, and territorial development in the Brazilian Amazon. He was also responsible for developing the strategy of education on sustainability in Natura Mexico. Ronaldo has a degree in Agronomic Engineering and a post-graduate degree in cooperativism and environmental analysis. Nelly is in charge of membership, communications and the coordination of the UEBT annual conference. She has worked as a media monitoring specialist for the French Ministry of Environment, and also worked for two years at the Organisation for Economic Co-operation and Development (OECD). Nelly holds a Master's degree in International Relations from the Institute of the Oriental Languages and Civilizations (INALCO) in Paris. Based in Perú, Gabriela supports UEBT in building and implementing its knowledge sharing strategy. She is a facilitator and trainer of trainers specialised in participatory methodology and active learning. Gabriela has, since 2011, supported UEBT in designing and carrying out training processes, as well as in developing resources and material. She holds a Master’s degree in Development Studies, from the International Institute of Development Studies (ISS) in The Hague. Based in Vietnam, Huong supports UEBT in promoting Ethical BioTrade practices and application of UEBT standards and tools/approaches in Vietnam, Laos and Myanmar. Huong has been working as a consultant for BioTrade project in Vietnam on value chain development, application and certification of Organic and GACP _WHO standards. She has practical experience in working with farmers and SMEs on developing sustainable resources and materials compliance with BioTrade principles. Huong graduated from Vietnam Forestry University and holds a Master degree in Development Studies from the Graduate Institute of International and Development Studies in Geneva. Lara brings close to twenty years of experience working in the certification and sustainability standards sector. Previously, she worked for Rainforest Alliance and ISEAL. She graduated from Yale University and holds a Postgraduate Certificate in Cross Sector Partnership from the University of Cambridge Institute for Sustainability Leadership. Jennifer supports the planning and logistics for the UEBT annual conference, and various organisational tasks related to Monitoring and Evaluation and Standard revision. She comes with experience in Environmental Services and Telecommunications industries working with logistics for internal audits, event planning and business intelligence particularly in the field of product development. Based in Hanoi, Giang has more than 20 years of extensive experience in the development sector, including 10 years’ experience in value chain and market system development. Giang was one of the designers of BioTrade project in Vietnam in 2011. She directed the project’s implementation from 2011 to 2015 and was part of the team to develop the regional BioTrade project in Laos, Myanmar and Vietnam. Giang holds a Master degree in Development Studies from the Graduate Institute of International and Development Studies in Geneva.